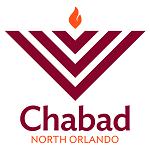 At Chabad of North Orlando, we strive to make sure that every aspect of this tremendous milestone of Bar/Bat Mitzvah and the time leading up to it is fun, meaningful and uncomplicated. Do we need to be members to celebrate a Bar or Bat Mitzvah at Chabad? Families do not need to be members in order to celebrate their Bat or Bar Mitzvah at Chabad. While we strongly encourage you to enroll your childr(en) at the Chabad Hebrew School your daughter or son need not have attended for a minimum number of years. Does Chabad perform Bat Mitzvahs and Bar Mitzvahs in the same way? Bar and Bat Mitzvah celebrations are faithful to the beauty and authenticity of Jewish Tradition. We encourage that the Bat Mitzvah take place near the girl's 12th birthday, while the Bar Mitzvah is near the boy's 13th birthday. This would adhere to Torah's view that a girl's maturity is one year prior to that of a boy. Both the Bar and Bat Mitzvah are treated with equal attention. Each one is uniquely designed to highlight the strength of their unique Mitzvahs. The Bar Mitzvah boy reads a section of the Torah and/or the Haftorah. The Bat Mitzvah girl leads the Congregation in a Friday Night Candle Lighting Ceremony and also recites the Aishet Chayil (in both Hebrew and or in English) a Prayer recited every Friday night honoring Jewish women, a selection from Tehillim (Psalms), or the 13 Principles of Faith. Both Bar and Bat Mitzvah girls and boys deliver a speech in English. We offer many other beautiful and meaningful non-conventional ceremony options as well for both boys and girls. All the options will be presented at the initial meeting. What will my child need to do at the ceremony? Every Bar and Bat Mitzvah is unique to the child. We strongly believe that a Bar or Bat Mitzvah ceremony should have significant meaning for the child celebrating and should truly be an expression of his or her personality. For some kids this may mean learning many Hebrew prayers, and for others this may mean not doing any Hebrew reading at all, rather focusing on the theme of what it means to be a Jew. An initial meeting will take place with the family and Rabbi or Chanshy Majesky to discuss the best customized ceremony setup for you. What do we need to do to prepare for this day? In preparation for this milestone every girl and boy who celebrates their Bat or Bar Mitzvah with Chabad receives private sessions with Rabbi Majesky and/or Chanshy in order to make sure that she or he is 100% ready to be a star on the big day. During these one-on-one lessons children are able to discuss both the meaning and practical aspects of the Bar or Bat Mitzvah and have their questions answered and explored. We suggest getting in touch with us at least 6 months before the general date of the Bar or Bat Mitzvah. The Bar and Bat MItzvah child will be required to attend a minimum amount of services before their ceremony. The Bar Mitzvah boy will be required to purchase a pair of Tefillin of his own. The Bat Mitzvah girl will be required to purchase a candlestick holder of her own. Does the Bar or Bat Mitzvah child need to be Jewish? Yes, the child must be Jewish. A convert is considered a full fledged Jew and there is absolutely no difference between someone born Jewish and a convert. What does the Bar or Bat Mitzvah cost? The required one-on-one lessons are $1,000 which includes 12 lessons. If additional lessons are requested each additional lesson will cost $100. A donation of $500 is suggested for the ceremony. Tefillin and candle stick holders can be purchased directly from a list of approved Judaica stores online.